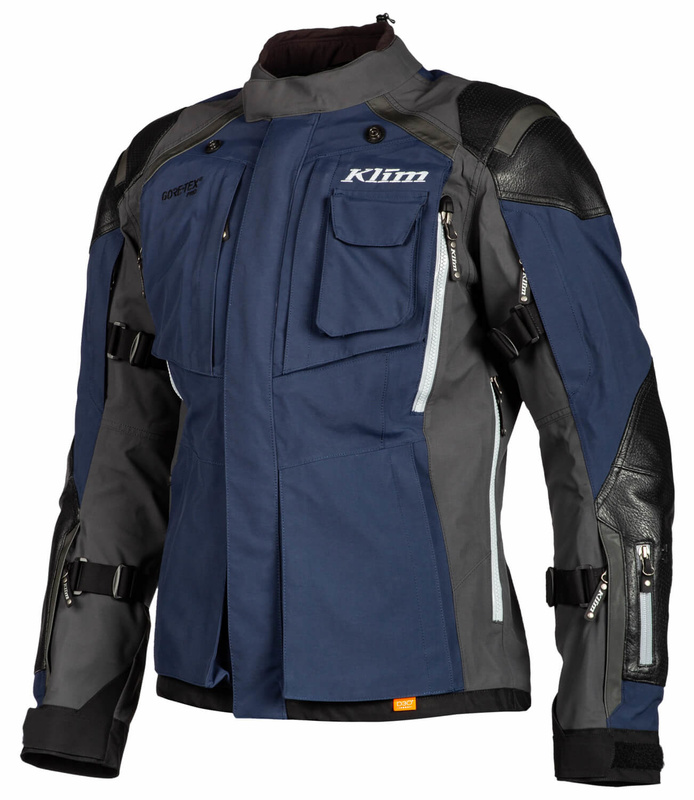 The Kodiak is the most advanced jacket in the Touring series of KLIM. All knowledge and technology comes together in the Kodiak, resulting in a stylish jacket made of the best materials and equipped with all the innovative solutions. An investment in years of safe, comfortable riding pleasure. 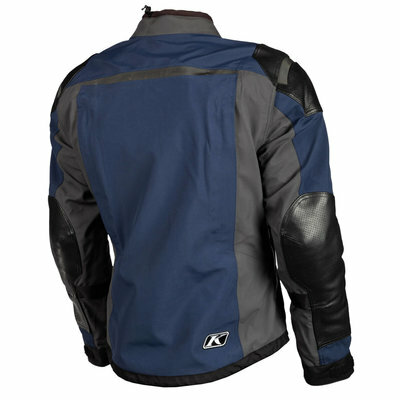 The Kodiak features a three-layer Gore-Tex® Pro, the most breathable and durable material available in motorcycle clothing.The Gore-Tex® membrane is bonded between two layers of wear-resistant fabric for extra durability. The weight of the jacket is kept as low as possible, which contributes to wearing comfort without compromising on waterproofness and durability. 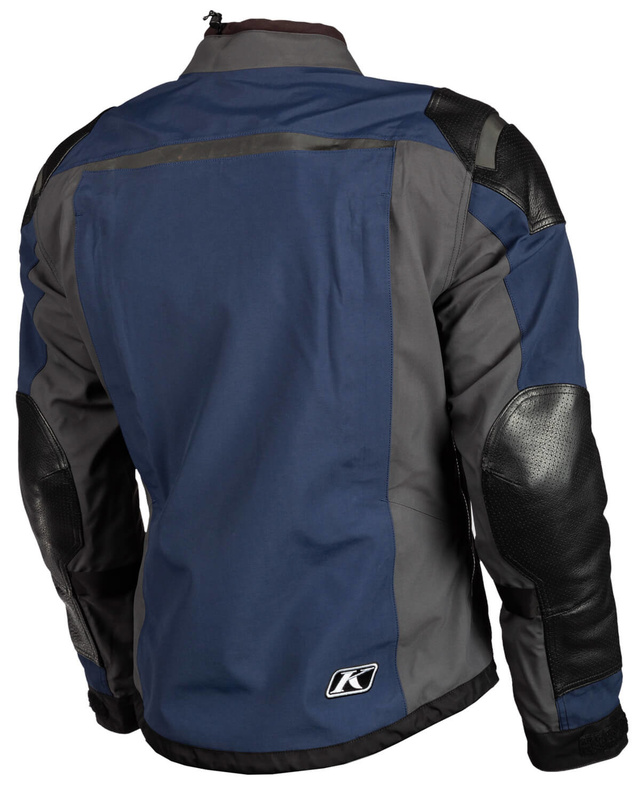 The jacket features ten cleverly positioned ventilation ports for cooling on hot days. The jacket is specially developed for the European market, which you can see in the fit and sizes. Unique to the Kodiak is that it is also available as a' D-model', with a wider fit around the waist, without the chest size and arm length becoming much larger. The jacket also includes different adjustment straps on the arms to adjust the fit to individual needs. 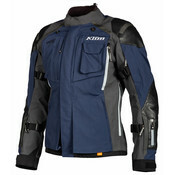 For more information, see the KLIM EURO Size chart. Perforated Gore-Tex leather has been used in the impact zones on the arms and shoulders. The Kodiak is equipped with D3O protectors of the highest CE level. The jacket also features stylish black 3M reflector strips for enhanced visibility in the dark. The Kodiak jacket is available in Blue, Black and Grey and available in two different size versions: Regular and D-Model. 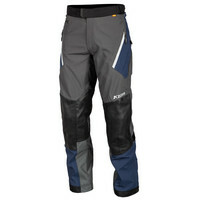 Furthermore, Blue and Black Kodiak motorcycle pants are available in three different size versions: Regular, Tall and D-Model. The price of the D-model jacket and the pant in D-model and Tall is higher than the other variants. Use the specific KLIM EURO Size Chart to determine your size. Perforated leather on shoulders, elbows and forearm. Improved comfort collar with soft lining, can fold back to allow for more ventilation.